Porcelain and ceramic dental crowns from one of the top Mountain View dentists, Dr. Donian Shen, offers enhanced strength and protection for teeth. 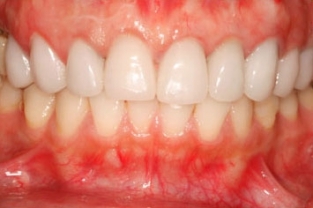 A filling can be an effective technique to address minor dental decay. Sometimes, however, a damaged tooth will require a more substantial restoration. Crowns are most commonly used as the cap on a dental implant or after a root canal, but they can also be used in bridges and to repair a significantly damaged tooth. Designed to be durable and natural-looking, dental crowns can help you restore the beauty and function of your teeth, and they may even improve your confidence in your smile. Some dental concerns may be addressed using either dental crowns or porcelain veneers, but generally these treatments have two different goals. 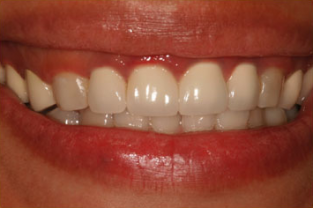 Porcelain dental veneers are designed to enhance the appearance of your smile. This is a cosmetic procedure that removes a thin layer of enamel on the front of the tooth, which is then covered, or capped, by the veneer to create a more appealing look. Dental crowns are intended to restore your smile; they offer functional improvement, although there is also a cosmetic benefit. Dental crowns are used to cap damaged teeth or implant abutments. During your initial consultation, we can help you understand which approach is best for your expressed goals and anatomic needs. It may be that either option could work for you. We’re happy to provide the information you need to make the best decision for you. What Are the Benefits of Porcelain Crowns? Placing a dental crown typically takes between two and three appointments, as we strive to ensure your crown fits precisely, feels comfortable, and looks as natural as possible. Prior to the last appointment, you will be furnished with a temporary crown. While it’s unusual for an interim crown to come out, you should call us right away if this occurs. Be sure to floss gently while wearing the temporary crown. After each appointment, you may experience some mild sensitivity to heat, cold, and pressure; however, these effects should subside quickly. Swelling and discomfort often can be relieved by swishing with saltwater. We also encourage you to avoid chewing and eating until any numbness wears off. The final crown will be placed a few weeks after the procedure and made to fit comfortably, securely, and beautifully within the mouth. How Much Do Porcelain Dental Crowns Cost? The price of a dental crown will depend on the particulars of your treatment plan. The total cost can range from about $500 to $2,500 per tooth, depending on the material, the complexity of the case, and what other techniques and appliances may be needed. For instance, placement of a ceramic crown to protect a cracked tooth will cost less than the placement of a dental implant capped by a porcelain dental crown. We will review the full estimated cost of your program with you so you will be well-informed. If you are interested in dental financing options, we can guide you toward a reputable lender. How Long Do Porcelain Dental Crowns Last? It’s essential to have a qualified and skilled dentist perform your dental crown procedure to ensure the outcome will be durable and long-lasting, as well as beautiful. 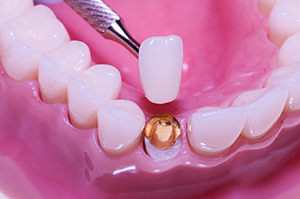 Crowns can last anywhere from five years to over 15, depending on the material, restoration technique, oral maintenance, and patient health. Many of our patients are still happily using their crowns from our office decades later. Brushing, flossing, and visiting the dentist regularly can help your dental crown remain strong and sturdy for many years. If you would like to know more about how dental crowns can restore your smile, contact our office today. Our skilled dental team will be happy to answer questions or help you schedule an appointment with Dr. Shen. Coming here was such a great experience. I have no complaints! My teeth are cleaned with care and the staff are very friendly. Dr. Shen knows exactly what she is doing. I lived in Antioch and I took me quite long time to go to Dr. Shen's clinic if you know the fact that the higher way 4 (from Hillcrest to Somersville) is the most congested route in bayarea and ranked 27th in US as I heard from KGO this morning. Anyway, my three kids are happy to visit her office instead of two clinics we visited close to our home. Do not ask me why and they just be happy with her and we just booked another appoint in the coming spring break. I was introduced by my friend to Dr. Shen's dental office two years before. There is one tooth was in very bad situation, I asked several dental offices they gave me same suggestion that was remove away. I fortunately got in Dr. Shen office, she was so skillful and took three times office visit, made my this bad tooth got survived. I am really very satisfy with Dr Shen and her office. It has almost been one year since my last review and I am still nothing but pleased with Dr. Shen and the staff at her office. One thing I would like to add to my last review is that Dr. Shen places a great deal of importance on education. My previous dentist was very good at telling me what I should and should not do to maintain good oral hygiene, but never bothered to explain to me why I should do these things. This has not the case with Dr. Shen. I had a really painful toothache and Dr. Shen scheduled me right away. I was so grateful that they understood my pain and wanted to fix me up immediately. This is a dentist that really cares! I fell and slammed my tooth into the concrete, I was terrified of losing my tooth, blood was flowing. Yuck! Dr. Shen fit me in as emergency, and stabilized my tooth. As a result of Dr. Shen's extreme efforts I was able to save my tooth! I highly recommend Dr. Shen! 2015 Sports Illustrated’s Swimsuit Edition Features Plus Size Model! Restoring Cavities: Fillings or Crowns? At our practice, Dr. Shen provides a comprehensive array of general, cosmetic, and restorative dental treatments. The care and comfort of you and your family are our highest priorities, and we hope to speak with you soon.